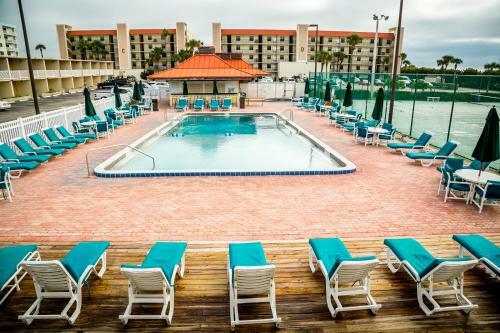 Situated in Cocoa Beach, Florida, this resort features 2 swimming pools and a hot tub. Free WiFi access is available.Cocoa Beach Pier is just 4.1 km from this resort. Some buildings are beachfront. Welcome to Ocean Landings Resort and Racquet Club the perfect place for your weekend getaway, family vacation, business retreat, family reunion or beach wedding. We are located in world famous Cocoa Beach, Florida on the Atlantic Ocean just south of Port Canaveral and the Kennedy Space Center.